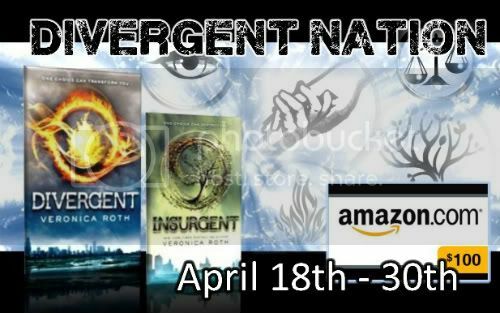 All throughout the month of April fans of Veronica Roth's Divergent series are promoting the upcoming release of her book Insurgent through various contests, group efforts, and more! If you have never heard of the Divergent Series you are missing out! Learn more about the series on the Publisher's Website. This $100 Amazon Gift Code Giveaway was organized by I Am A Reader, Not A Writer and is brought to you by a large group of Bloggers who are showing their support for the Faction Abnegation by posting this giveaway on their blog. All entries are done via the Rafflecopter Form. (Yes, I know it is ridiculously long. 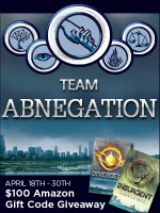 We had a lot of people sign up to support Team Abnegation! There is a +25 Clicking Bonus if you make it all the way through the rafflecopter and follow & like everyone). Open to anyone 18 or older who can legally receive and use an Amazon Gift Card Code. The Rafflecopter accepts entries from 12:01 AM on April 18th to 11:59 PM on April 30th. Enter daily to better your chances of winning.